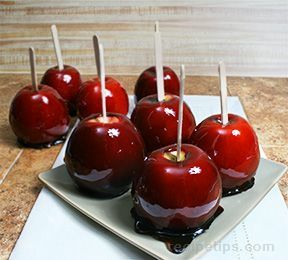 Place lollipop sticks or wooden craft sticks into each apple at the stem end. Set aside. In a heavy saucepan, mix together the sugar, golden syrup and water. Bring to a boil, then reduce the heat to medium and continue to cook until the mixture reaches 300 to 310 degrees , or until a small amount of syrup dropped into cold water forms hard, brittle threads. This will take a good 45 minutes! Remove the sugar mixture from the heat and stir in the black currant syrup. 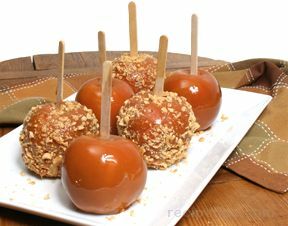 Quickly dip all of the apples, holding them by the stick. You can let them cool by inserting the other end of the stick into a thick sheet of foam board. 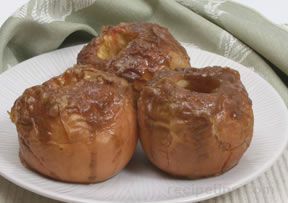 If that is not available, set the coated apples onto waxed paper or aluminum foil. Make sure they don't touch each other.